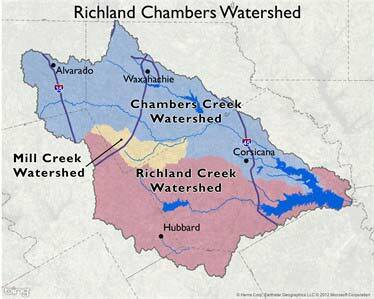 Restoring the quality of forests and wetlands in the primary stream corridor and tributaries is critical to the health and sustainability of the Trinity River. Riparian buffers are "linear patches of vegetation adjacent to streams, lakes, reservoirs or wetlands," and serve to improve and protect habitat, water quality and soil retention along the stream corridor and adjacent flood plains. Effective buffers address wildlife and aquatic habitat and one or more non-point source pollutants such as sediments, nutrients, chemicals and animal waste. 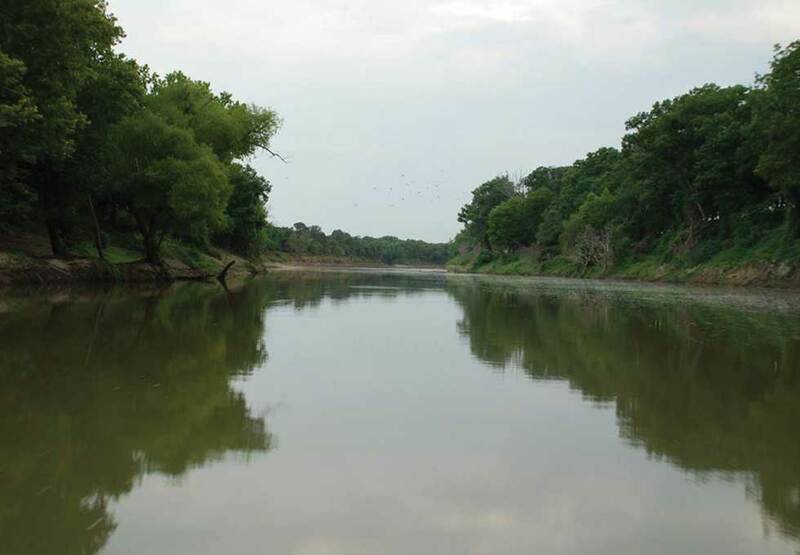 Trinity Waters is committed to assuring, to the extent possible, that all stream banks and adjacent wetlands in the Trinity River Basin are protected by a forested or other appropriate riparian buffer. 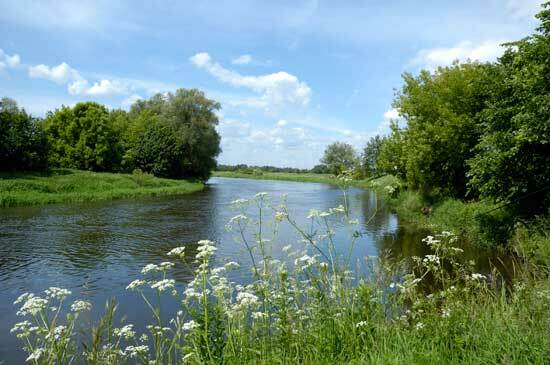 Rural Landowner Assistance - We offer planning, planting and long term maintenance specifications for riparian buffers, through a cost share contribution generated through fundraising and corporate sponsorship. Contact us for more information. Urban Lands Assistance - We work with developers, stream mitigation banks and other organizations to promote, implement and maintain urban and suburban riparian buffer restoration projects along the river and its tributaries. Follow our EVENTS calendar or contact us to schedule an event for your organization. 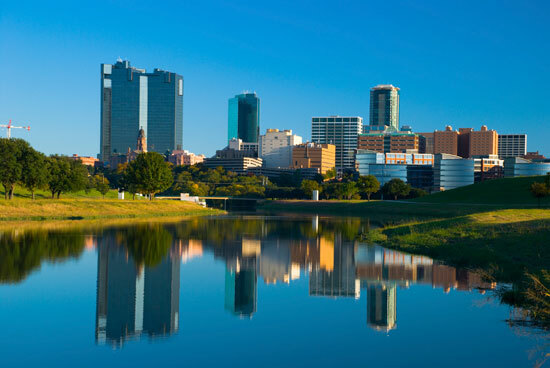 The Urban Waters Program targets urban and suburban areas with a particular emphasis on improvements to upstream major and minor tributaries in and around the Dallas - Fort Worth metroplex. Engaging stakeholders and citizens in stormwater runoff and groundwater recharge issues helps to increase awareness and bring a cultural shift towards the value of water. Education - We provide educational series for professionals, city leaders, real estate investors, developers and property owners on the virtues and value of LID, GI, Alternative Water Sourcing and iSWM practices. Projects - We work with land developers and commercial property owners in site planning or retrofitting to mimic pre-development hydrology, reducing water contamination and ensuring future water needs. We also partner with Texas Trees Foundation in the design process for outdoor learning centers in Dallas ISD elementary schools to promote integrated stormwater management and use of trees for improving air quality, reducing ambient air temperature and filtering contaminated stormwater onsite. Municipalities - We work with municipalities and water purveyors to promote subwatershed restoration goals and urban stream repair practices. Policy - We collaborate with local, state and federal leaders and officials to improve policy that will positively impact water quality and conservation efforts while reducing risks to stakeholders; and to promote voluntary conservation and best management practices. 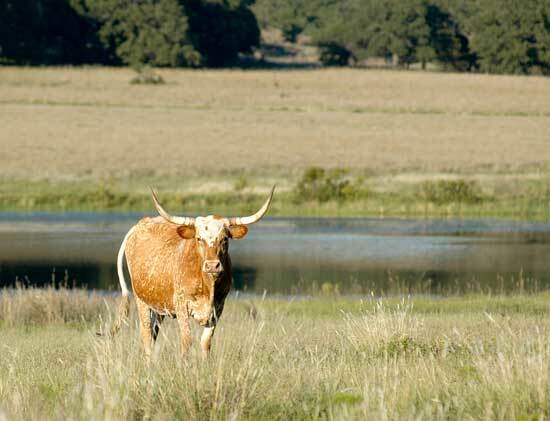 95% of Texas land is privately owned. That makes our rural landowners, farmers and range managers a vital component in our efforts to improve riparian habitat and water quality in the Trinity River Basin. In partnership with corporate sponsors, NGO’s and governmental agencies, Trinity Waters offers technical and financial assistance through programs designed to advance stewardship and conservation through land and habitat management. We actively promote Adaptive Land Management (ALM) for improving soil through Adaptive Multi-Paddock Grazing/Mob Grazing practices and Prarie S.T.R.I.P.S. applications. Prairie S.T.R.I.P.S. - Science-based Trials of Rowcrops Integrated with Prairie Strips has demonstrated promise in reducing soil erosion in fields - upwards of 95%, and has reduced nutrient loading caused by agricultural activities by 85%. Because only 10% of crop area is utilized for prairie strip planting, there is no loss to crop yields. The added benefit of biodiversity also enhances the ability of the land in production and crops to withstand climate extremes and other variables. S.T.R.I.P.S. is a viable and inexpensive alternative for effective conservation practices. Are you an interested landowner or land manager? Contact us. Past Program Spotlight - Chambers Creek Water Quality Initiative & National Water Quality Initiative. Recognizing the need to engage landowners in conservation practices that improve soil health, reduce runoff and increase infiltration, Trinity Waters teamed with corporate sponsors, NRCS, TPWD, TSSWCB and local conservation districts to provide financial and technical assistance in the Mill Creek watershed of Navarro County. By drawing financial resources from urban areas to implement conservation practices that enhance the water coming off private lands, rural landowners benefit by improved land management and diversifying income. Urban areas in turn receive the benefit of cleaner water. Past Program Spotlight - Western Navarro Bobwhite Restoration Initiative. Even though large portions of Navarro County have been converted from tallgrass prairie to improved pasture or row crop farming, remnant quail populations were discovered in Western Navarro County in the 2000's that led to the development of the Western Navarro Bobwhite Recovery Initiative (WNBRI) in 2006. WNBRI is a landscape level approach to rebound struggling and isolated populations of quail in the western third of Navarro County. At last count, 34 landowners had enrolled in WNBRI creating a cumulative land base of 30,000 acres. The primary goal of WNBRI is to restore and maintain up to 30,000 acres of contiguous habitat of native bunch grasses and forbs that will provide abundant forage and essential nesting, brood rearing, thermal and protective cover.